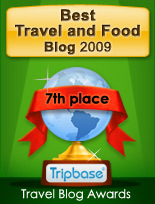 (Reviewed June 22nd 2008) Visiting a popular tourist destination as Sitges it is easy to get tourist trapped. 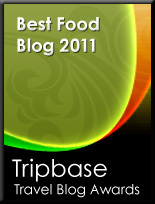 You may easily be lured into restaurants serving overpriced meals. 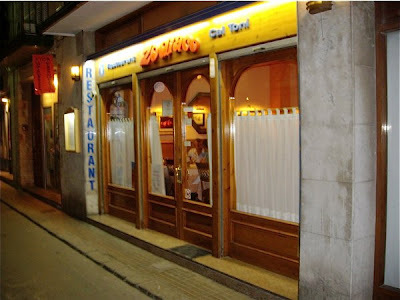 If you go to a place like the cities on the Spanish costas it may be worthwhile to find out where the locals eat in order to avoid the worst experiences. We did and found Zodiaco, and were served one of the best meals we had in town. This thanks to the advice of the proprietor of the charming Gay Bar Casablanca one evening, and we met him again the next day - eating lunch at the Zodiaco!! 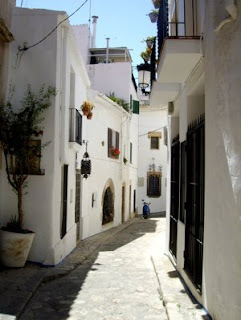 Zodiaco is located in c. Bonaire a charming narrow street in the main centre of Sitges, a short walk away from the Playa. The staff provided good personal service. Zodiaco is a cozy small restaurant serving traditional Spanish food, and we had to wait for a relatively long time to get served, but we were explained that the food was made from scratch. 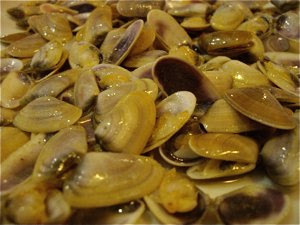 The preparation time was made shorter by a free appetizer and a small delicious dish made with small mussels. The restaurant has a charming traditional interior. Wooden tables and chairs with white table cloths. It is a relatively small restaurant with many tables, so it feels a little overcrowded, but it adds a little to the charm as well. Another interesting observation we made was that the restaurant was packed with people. A very good sign. 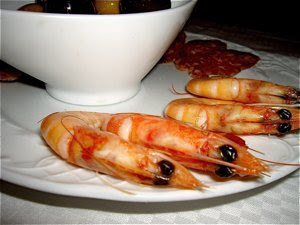 I love when getting a free appetizer, and we got a small bowl of great Spanish olives, sliced spicy chorizos and large boiled prawns. It looked and tasted delicious with one exception. I am often a little disappointed of the taste of the prawns that look so extremely delicious. The nordic prawns are so much tastier. Sometimes you are amazed by how good simple food tastes when made from a just a few simple ingredients. We were served small mussels fried in olive oil and garlic and we could spend the waiting time tucking into these tiny delicacies. 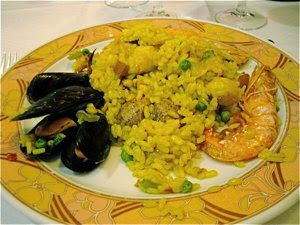 They were extremely tender and olive oil, garlic and seafood tastes blended into a sensational culinary experience!!! I have eaten paella many times, but none have tasted like the one served at Zodiaco. Creamy saffron coloured rice boiled in good fish stock, you cannot beat that. The paella was served in a large traditional pan for us to share. Great aromas, a generous amount of high quality seafood, mussels, prawns, and fish. A completely different experience - I highly recommend the paella at Zodiaco. We enjoyed this light and fruity rosé wine - perfect for a hot meal on a warm Spanish day . 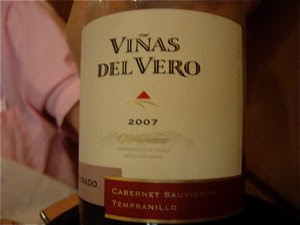 Cherry red colour, with aromas of ripe, red berries. Blackcurrant leaf character on the nose and palate.